Good Choice Reading: 2011 YA Story scavenger hunt - Take 2! 2011 YA Story scavenger hunt - Take 2! 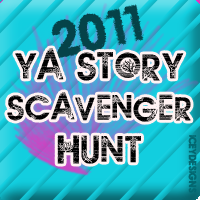 We're today's hunt stop for the 2011 YA Story Scavenger Hunt! Today's question is from Waterfall by Lisa Bergren. Question #41: What weapon did Evangelia know how to use prior to traveling back through time?